You’ve decided the time has come for a flooring update. The color of your grout has faded, it has developed cracks, or maybe you’re just tired of the same old look. But instead of investing in professional regrouting services, you’re considering tackling the project by yourself. Before doing so, you should think twice. 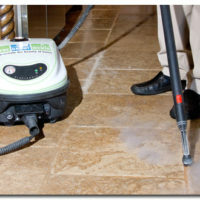 In order to truly restore and protect your floors, you need to turn to a tile regrouting contractor. We’ll share with you a few reasons why hiring a grout and tile expert for your project would be a better decision. 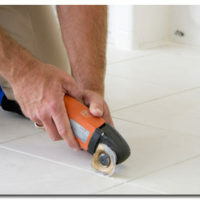 The special tools needed to apply grout can chip or crack your tile if not handled properly. When removing excess grout, it’s especially important to be careful not to scratch the tile. When grout isn’t installed properly, it can spill over onto and mar adjacent tiles. A tile regrouting contractor can inspect your property and determine which grout needs to be removed and which will remain. Without an expert eye to make that judgment, you could end up spending time and money that could have been saved. Even if you try to be very careful with your tile surfaces, a do-it-yourself regrouting project could spell disaster. If installed incorrectly, grout may lift away from tiles, causing gaps to form. These gaps can easily lead to the formation of mold and mildew once water gets trapped underneath. To avoid the threat of mold growth while giving your flooring or other tile surfaces a fresh new look, go with professional regrouting services from The Grout Medic. You can get a free estimate on your grout project by calling 1-866-994-7688 or filling out the online form on our contact contact page. Start today!